Great win for our Men’s 1st Team on Sunday away to Naomh Fionnbarrs (3.12 – 5 pts). Thanks to all the supporters that made the trek across. Hard luck to our Men’s 2nd team who lost out to the Garda away on Sunday by 5 pts. Again thanks to everyone that showed support for all involved. Our Ladies Team kick start their League Campaign this Wednesday in Division 3 against Man O War at home. More details to follow on Social media. Great to see the village get involved in the Spring Clean on aturday morning and thanks to everyone involved in making sure the village looks so great all the time. Our G4M&O team have returned from their first trip abraod where they played Madrid Harps and ended up winning the match by a point. Huge thanks to Sally farrell and all in Madrid Harps for hosting a great day and welcoming the ladies with open arms. We hope you guys can make the trek over here some day for the replay. Our St Peteres U.9 team looked great over the weekend in their brand new jerseys proudly sponsored by Anglo Irish Refrigeration. Hard luck to Sarah Willis and all the girls involved in the Dublin U.16 team as they lost their first championship match against Meath by 6.8 – 1.8 in Blanchardstown. Next up is a match away to Kildare. 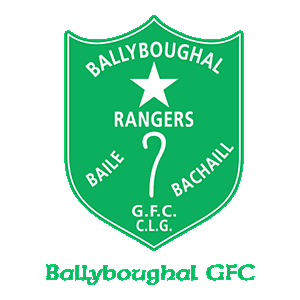 E-Shop World are the proud sponsors of Ballybougal GFC and we would like t express our deepest gratitude to them for their support as the club continues to grow.